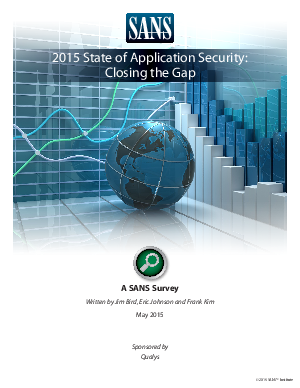 The gap between developers and protectors of applications is closing slightly, according to the SANS 2015 State of Application Security Survey. In this year's survey, 435 qualified respondents answered application security questions from two different perspectives. groups need to climb out of their silos and work more closely together if we’re going to build better, more reliable and more secure systems. Thankfully, this change is already occurring.